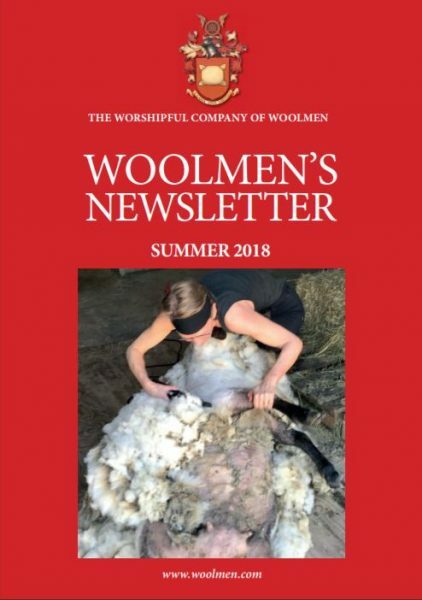 In the course of running its day to day business and promoting its charitable and educational aims, The Worshipful Company of Woolmen(the ‘Company’), may collect and process information about its members and staff as well as members of the public such as enquirers and correspondents. The use of such information (‘personal data’, as explained in more detail below) is regulated by data protection law (the ‘Data Protection Legislation’, explained below). This policy sets out how the Company intends to comply with the key rules that apply to the processing of personal data in the United Kingdom. Members: The Company holds the personal data of its past, present and prospective members (Liverymen, Freemen, Journeymen, Apprentices, Honorary Freemen etc.). The personal data held includes members’ education and employment history, qualifications, personal and family circumstances, as well as financial and contact details. The Company processes such personal data in order to administer membership, to organise events such as meetings and social events, and to collect subscription fees. It also processes members’ personal data for fundraising purposes including seeking endowments such as gifts, trusts and bequests. The Company holds some information about its members for archival and historical research purposes, for example, to maintain a roll of past Freemen and Liverymen. The public: The Company may enter into correspondence with members of the public, such as enquirers, correspondents. When it does so, the Company may collect incidental personal data such as contact details and personal circumstances, and processes such personal data in order to respond to queries and deal with ad hoc issues. Suppliers: The Company processes personal data concerning its suppliers of goods and services, including identifiers such as contact details, financial information and purchase history. The Company processes such information in order to purchase goods and services, to pay its suppliers and to maintain its accounts and records. . This policy does not document every part of the Data Protection Legislation which may be relevant, but merely focuses on the key aspects that are likely to be applicable to the Company. Should other issues arise in practice not covered by this policy, the Company will consider these separately at the time. The Company will review this policy annually,and may amend it from time to time as it sees fit. Data protection law in England and Wales is primarily found in the Data Protection Act 1998 (‘DPA’). With effect from 25th May 2018, the DPA will be repealed and superseded by the General Data Protection Regulation (‘GDPR’). The GDPR will be supplemented by the Data Protection Act 2017. In this policy, any reference to the Data Protection Legislation means the DPA, or the GDPR, as supplemented by the Data Protection Act 2017 (‘DPA 17‘), whichever is in force at the time. The Company will hold personal data about its past, present and prospective members (including Liverymen, Freemen, Journeymen, Apprentices, Honorary Members etc.) staff and members of the public such as beneficiaries, as well as its suppliers. The Company may hold such personal data both in electronic and hard copy format, in records, correspondence and minutes. The data subject has given his or her consent to the processing. Note that to be valid, consent must be freely-given, informed (by way of the transparency notice, explained above) specific, and capable of withdrawal at any time, without detriment to the data subject. Consent must be indicated by way of an unambiguous, positive affirmation by the data subject. Consent cannot be inferred from the absence of an objection, and will not be valid where the data subject does not have a genuine choice. Processing is necessary for the performance of a contract to which the data subject is a party, or in order to take steps at the request of the data subject prior to entering into a contract. Processing is necessary in order to protect the vital interests of the data subject or of another person. Processing is necessary for the purposes of legitimate interests pursued by the controller or by a third party except where such interests are overridden by the interests or fundamental rights and freedoms of the data subject which require the protection of personal data. Where the Company’s processing of the personal data is based on consent and the data subject withdraws his or her consent. It would involve disproportionate effect to communicate to each affected data subject individually, although where this applies then a general public communication must be made.